Plumbers use slice valves in sewer drains systems in some homes. The valve is installed before the floor drain in a basement. Closing the valve prevents sewage backup through the floor drain and is accessed through an access panel in the basement floor. Hot tubs and pools also use slice valves as part of the drain system. Makers build slice valves out of PVC, ABS and metal. Choose the proper material based on the pipe materials. PVC and ABS are less likely to corrode than the metal slice valves. 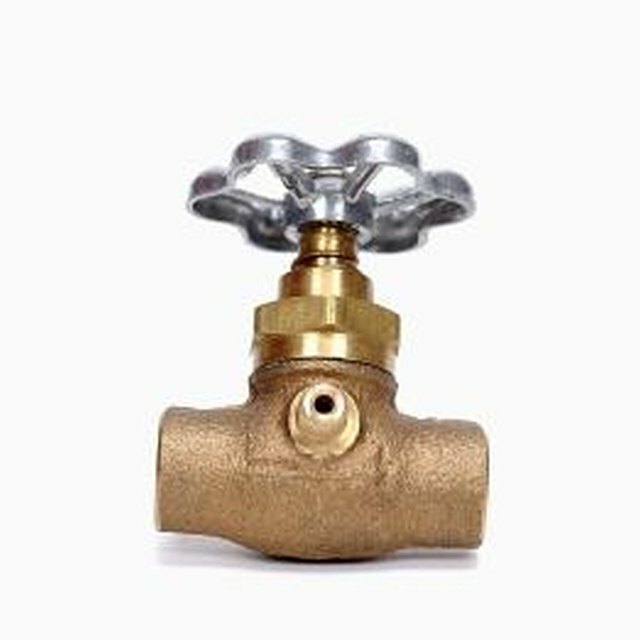 The valves commonly can be opened for cleaning and service if corrosion or mineral buildup occurs. Slice valves work by pushing or pulling the control handle. The position of the valve has to have enough clearance to accommodate this action. Clean slice valves operate easily and can be opened or closed with little effort. The valves also operate at a wide range of water pressures. Corrosion or mineral buildup in the flanges of the valve house can prevent the gate of the valve from fitting completely. This prevents the valve from sealing completely and allows water to trickle through the slice valve. The valve is also larger than most. The housing of the valve is as large as the diameter of the pipe to allow for the housing of the gate. Not all installations have enough open room for a slice valve.